Redefine was a chance for us to make a funky album that showcased our refined skills on the beats and rhymes. We were fortunate to collaborate with several of our favourite underground hip hop artists plus some talented singers and guest producers. "Ride On" featuring Raashan Ahmad of the Crown City Rockers became a favourite for many with it's enthusiastic percussion and horns. "Paradise" featuring Moka Only drew people in with it's laidback groove and creative storytelling. "Rise" featuring Masta Ace got heads nodding to haunting guitar and organs over crashing cymbals with a message of keeping hope alive in desperate times. 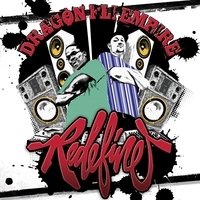 Redefine was nominated for Best Hip Hop Album at the 2009 Western Canadian Music Awards, a first for a Calgary-based group.